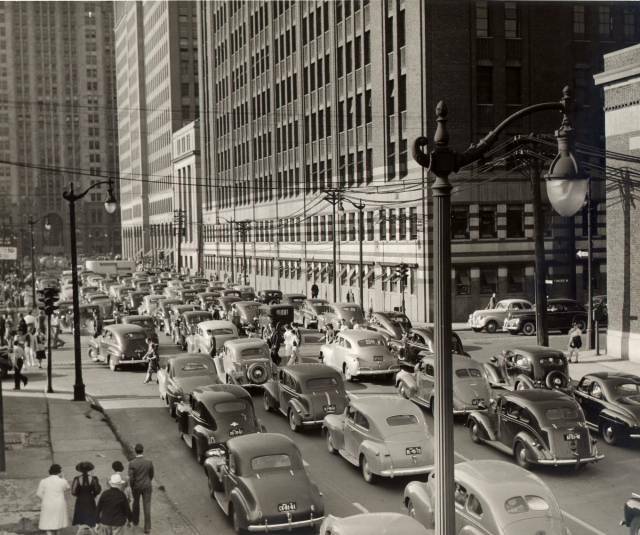 Detroit Street Scene Photo Picture Classic Cars for sale & Classifieds - Buy Sell Classic Car & Classic Truck Classifieds. I see about a thousand cars I WANT! Hey, if you look real close you will see a beautiful Black Studebaker sitting at the stop light on the right next to the 1940 Chevrolet Coupe. The 1941 Dodge is exactly like one my father owned in 1949.